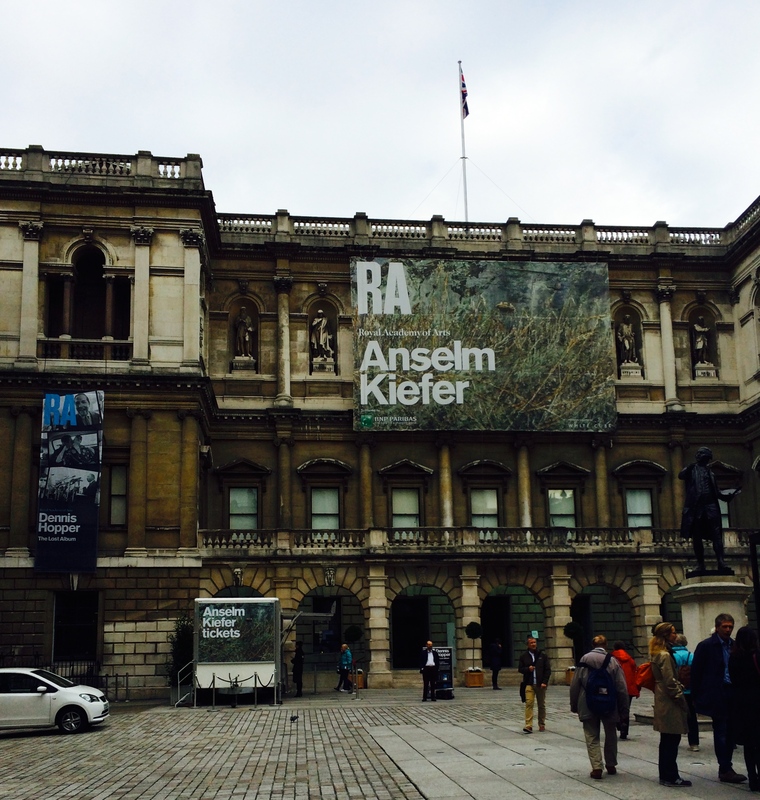 We returned recently to the Royal Academy of Art in London to attend the Anselm Kiefer exhibition and, as suggested in my last post, to follow it up with a tasting of the new RA English wine selection of Davenport Limney Estate sparkling wine. A quick refresher about this English wine is that it is produced from Pinot Noir and Auxerrois grapes. Davenport Vineyard is an organic winery in East Sussex and the 2014 winner of the United Kingdom Vintners Association (UKVA) Vintners Trophy for their sparkling wine. We enjoy a glass of Will Davenport’s Limney Estate sparkling wine with a light lunch of green bean salad in the newly opened Grand Cafe at the Royal Academy.. Perhaps not a conventional wine and food pairing yet it worked well and we enjoyed both. This light gold coloured English sparkling wine has substance; is dry, smooth, and rich in flavour with just the right amount of bubbles. As I drink this wine, with its apple aromas on the nose, it opens up to the classic baked biscuity taste. Enjoying all these characteristics, I immediately have that joie de vivre feeling. A successful and light-hearted conclusion to our visit to the grand scale and diverse exhibition of works by this contemporary painter, sculptor and prolific artist. It’s our second day in the Champagne region and another sunny day. In Reims, we arrive at the House of Roederer and pull up to the main gate, which slowly opens to let us into the parking area. There to greet us is our guide for the visit, Martine. Chic in black and white with natural elegance and a straight back that would have merited a Good Deportment Badge at my old school, Martine is the quintessential wine professional; knowledgeable, confident and attentive to her guests. This style typifies our experience at the House of Roederer whose mantra is “Quest for Perfection”. Originally established in 1776, it was renamed in 1833 and has built its strength from this 19 Century organization. Roederer remains a private company under the leadership of Frédéric Rauzaud, the seventh generation of the Roederer family. 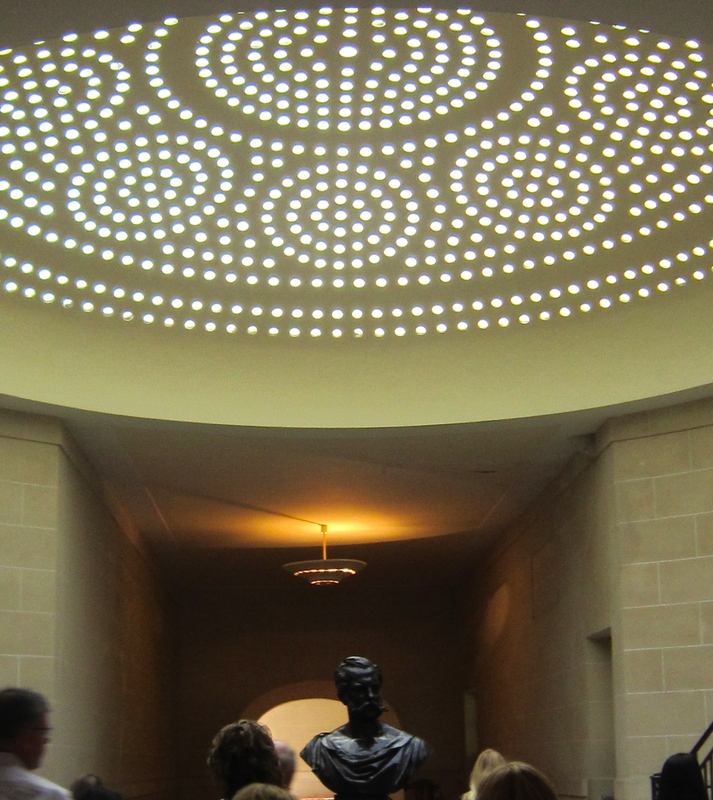 We are shown into the entrance hall, which immediately speaks to the illustrious, past and present of Roederer. The bronze bust of Tsar Alexander 11 has pride of place. He was the Tsar for whom Roederer created Cristal Champagne in 1876. Already a fan of Roederer champagne, the Tsar requested a new champagne to be unique in style and bottle for his personal consumption only. It is said the clear crystal bottle with a flat base was designed so that nothing could be hidden either within or underneath the bottle. This was to forestall any assassination attempt on the Tsar. Then we enter the spacious, pale wood paneled tasting room where the 19th and 20th century Royal Warrants of several devoted European royal families are displayed around the room. There are other contemporary symbols of recognition and awards on display. They all demonstrate the high esteem in which Roederer has been widely held over the centuries. 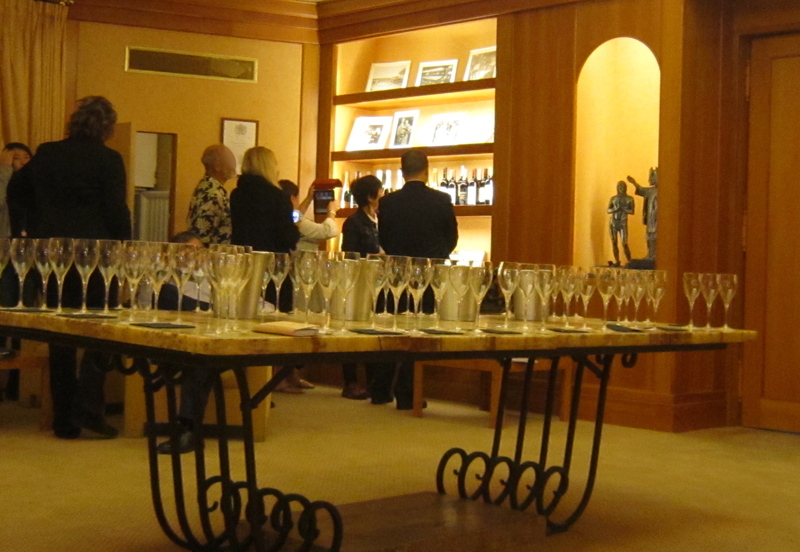 Martine guides us through a tasting of several Roederer champagnes. She talks about each champagne and as she does so, in true connoisseur style, silently opens each bottle with a gentle twist of her wrist. No popping of corks here. Roederer champagnes are known for acidity and fruitiness, which together develop the refreshing citrus and biscuity characteristics with a subtle explosion of bubbles in the mouth. An unsophisticated yet definite “Wow” exclamation was my response to those bubbles. We particularly liked the Blanc de Blancs 2006 (Chardonnay) and a primarily Pinot Noir 2006 vintage from the Montagne de Reims vineyards. We also enjoyed the non-vintage Brut Premier for its fresh style. For the finale, we tasted Cristal. 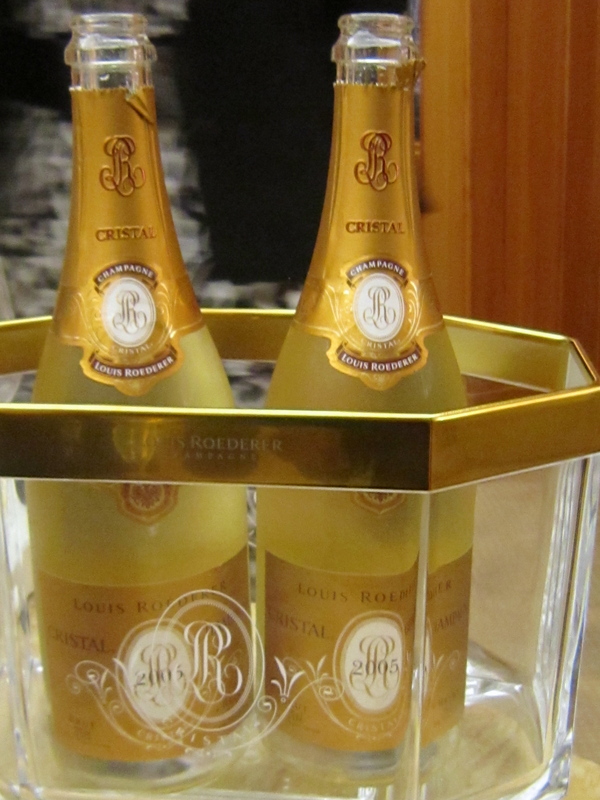 While all the champagnes we tasted were memorable, there was something special about Cristal, perhaps an added silkiness. Cristal is made from Pinot Noir (60%), Chardonnay and Pinot Meunier from the seven finest vineyards on the estate and is only created in the best years. The vines for the grapes for Cristal have to be a minimum of twenty-five years old. The champagne is aged in the cellars at Roederer for six years and can be kept for many years before it is drunk. 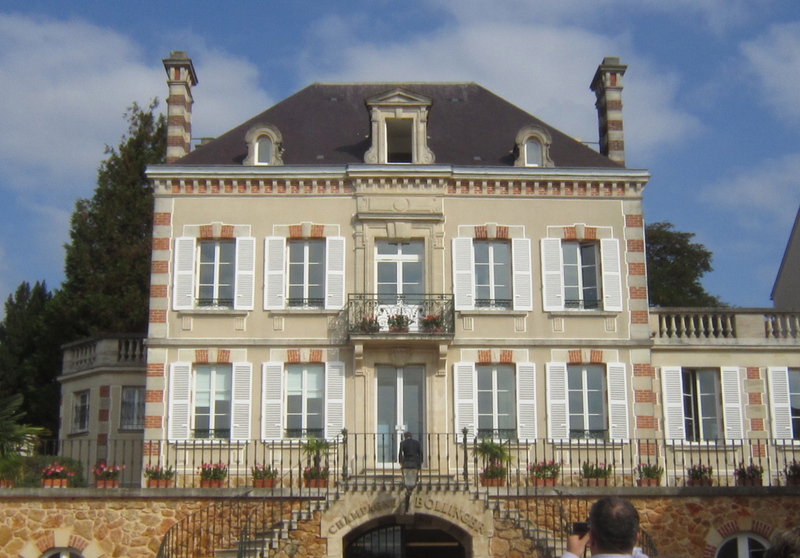 We leave Roederer before lunch and drive on to the House of Bollinger, arriving at the imposing former home of the family and present day premises in Ay. 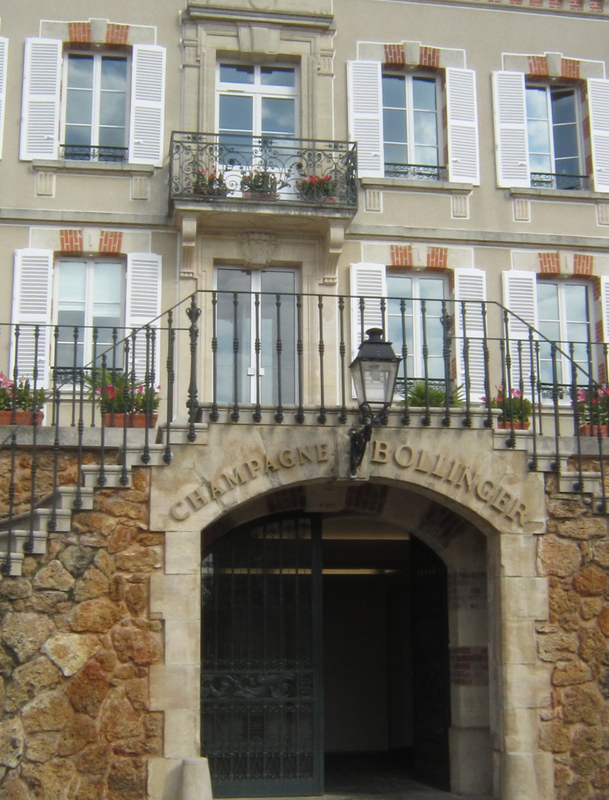 The House of Bollinger was established in 1829 and named for one of the founders, Jacques Bollinger. There are currently three branches of the Bollinger family involved in managing the business. Bollinger has been a popular champagne in Great Britain for many decades and one third of their sales go to Britain. The House has been providing champagne to the Royal Family since the time of Queen Victoria. The Royal Warrant was granted in 1884 and it is said that it was Edward V11 who originally coined the phrase: “…a bottle of Bolly”. 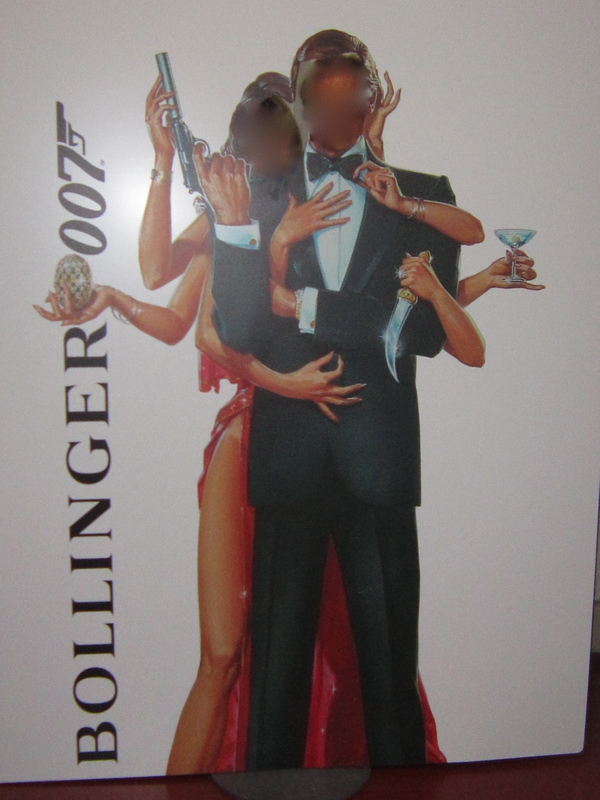 In addition to their royal connection, Bollinger is, of course, known in the world of film, for over four decades now, as James Bond’s favourite champagne. These long standing connections are a source of immense pride to the company. Behind all the publicity and fun there is a deep respect for tradition at Bollinger, which has received the first award given to a champagne house for their efforts in preserving and handing on the best of the traditional techniques and heritage. This is the Living Heritage Company award – EPV or Entreprise du Patrimonie Vivant. At the same time, modernization and innovation have been encouraged. We enjoyed a delicious lunch at Bollinger with paired champagnes. Lobster in a soup of tomatoes and zucchinis/courgettes, guinea fowl with truffles, cheese, followed by a warm apricot and peach fruit soup with apricot sorbet. We started with Bollinger Rosé, followed by Bollinger La Grande Année 2004 and finally, Bollinger Special Cuvée. Bollinger’s style is distinctive for its full bodied toasty characteristics, possibly as a result of the higher percentage of Pinot (60%) typically blended in their champagnes. Like all the Champagne Houses, they have adapted to the changing tastes of customers over the centuries; from the sweeter style of the 19 Century to the current preference for dry (brut) champagne. The pairings, needless to say, are excellent. Bollinger recommends the Grande Année 2004 for duck breast, quail or quinea fowl. The Rosé is recommended for both seafood and fruit dishes. Bollinger Special Cuvée, the third champagne we taste, is regarded by many connoisseurs as one of the finest of all French champagnes. “ I drink it when I’m happy and when I’m sad. Sometimes I drink it when I’m alone. When I have company I consider it obligatory. I trifle with it if I’m not hungry and drink it when I am. Otherwise, I never touch it – unless I’m thirsty”. When it came to choosing champagne to drink on New Year’s Eve, we would have been delighted to enjoy a bottle from any of these Houses. 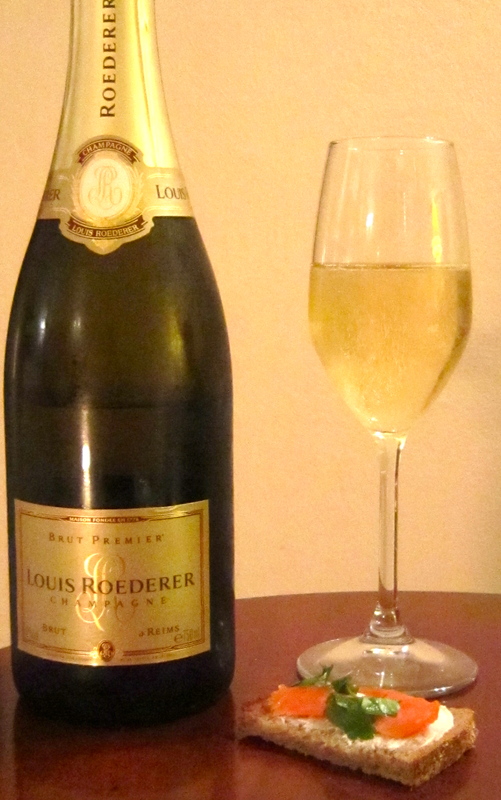 As it turned out, we selected Roederer Brut Premier. We enjoyed that characteristic taste of medium acidity, lemony-citrus, biscuit/almond flavour and its refreshing style with soft yet pronounced bubbles, and savoured the moment. We drank the champagne as an apéritif and paired it with smoked salmon on rye toast. The appetizer was prepared with toasted rye bread cut into slices and spread with cream cheese, and then topped with smoked salmon, capers, chopped fresh cilantro leaves (coriander), and freshly squeezed lemon juice. Our visit to the Champagne region and these four Grande Marque Champagne Houses has provided us with lasting memories. Our stories about the people and their pursuit of excellence, the historic places and delicious champagnes that we tasted will linger on.